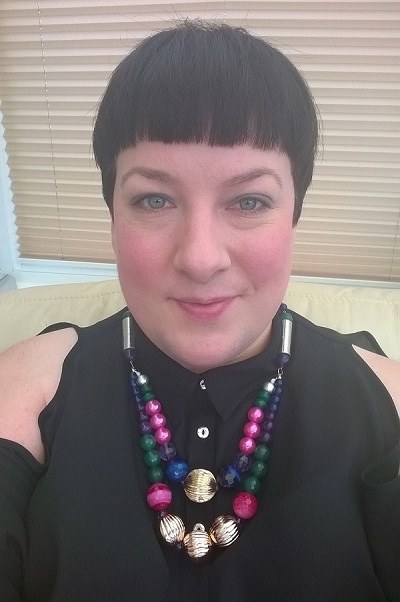 Style File: Design your own jewellery… | StyleAble Fashion For Everyone! DIWAH are a UK based jewellery retailer that sets itself apart by having not just a ready to wear collection for sale, but also a design your own function and bespoke design service on offer. Given I’ve dabbled in making jewellery myself (my jewellery pliers have been neglected for a while! ), I wanted to explore the bespoke service and see how they could design something for my rather hard-to-define style. A little reading let me understand that DIWAH are focused on fashion, using ethically-sourced components and semi-precious stones for a luxe vibe. I browsed their fantastic ready to wear range, where I lost a fair bit of time salivating over the beautiful creations they have available. Before getting distracted by all the shiny things, I moved on to the design service itself. There is a form, where you can supply your personal details (including Twitter handle if you want progress tweeted to you). My first task was to select the length preference. There are images of the lengths/styles available, ranging from collar (approx. 16-18 inches) to opera cluster which is up to 35 inches long. I opted for the Matinee Crescent, as I love double layer necklace styles. This one comes in at between 21-26 inches (approx. 53.3cm to 66cm). Once done, you are then asked to select your favourite colours, including metals – such as on trend rose gold and gunmetal – before then being asked about your personal style. The joy in this section is that you can choose as many or as few styles as you like. They range from glamorous, chic and simple to vintage, preppy and urban. Now, I’m more of a “dress how I feel in the moment” woman, and often like to mix it up, suffice to say I reflected my changing (read: fickle) nature in my answer. You can select options such as what type of occasion it’s for as well as the price boundaries, from £25 to £90+, meaning there is something for every budget. 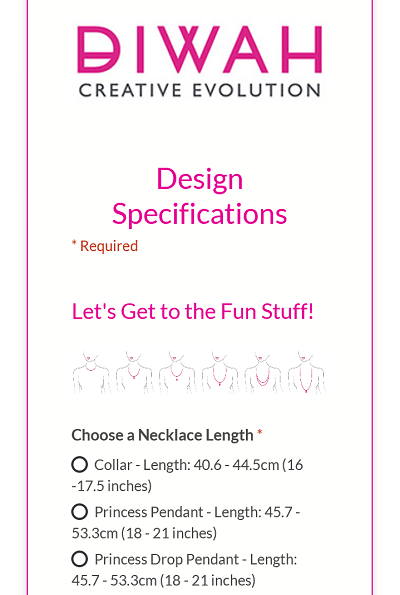 The final page asks for preferences on materials and fastening type (you can choose from magnetic closure to the traditional clasp closure) and they even ask if there are any particular components you’ve seen on the site you’d like to have included. For ​me, there was just so much to choose from that I loved, I wanted to put my fate in the designers’ capable hands. Once my preferences were submitted, DIWAH kept me informed every step of the way via email, and within a matter of a few days I had two completed designs to choose from. The first was a beautiful, delicate design called Mermaid Tones (£68) in silver and rose gold with shimmering beads in my chosen colours which was absolutely beautiful, and I felt the excitement ramp up at this point. When I saw the second, named Wildchild (£93), I fell in love. 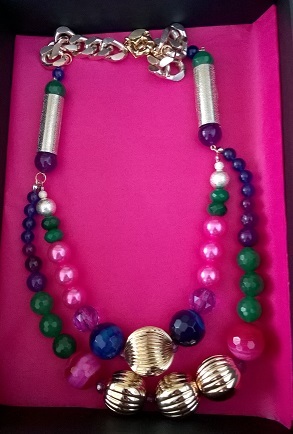 This truly was a statement piece, a chunkier offering in mixed metals and brightly coloured semi-precious stones, and pink faux pearls. Going by the look (and I will admit, the name drew me in too, aspirations of a wildchild it seems!) it had to be this one I chose. I’d like to point out however, I was advised if there was anything I wanted to change, I could let them know and they would be happy to oblige. I was already excited from the images shared by DIWAH but actually seeing it in person was amazing – it looked fantastic. On it feels substantial, but not heavy and uncomfortable. It’s fashion jewellery that is built to last, in opposition to the fast fashion jewellery we find on the high street. The best thing is that I have a wedding coming up very soon, and it’s going to complete my outfit perfectly (and is in fact determining my other accessories) – but I know it is a piece that will be brought out again and again for different occasions. 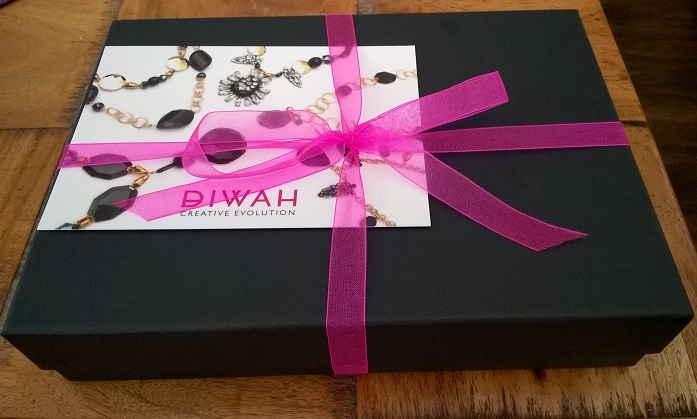 Aside from the fact they make amazing jewellery, what I loved about my experience with DIWAH was how personal the service was, and how incredible the customer service was overall. They responded to my emails quickly and never with a standard company response. I felt I was being dealt with by actual human beings as opposed to receiving an automated reply, and I never had to wait for a response. 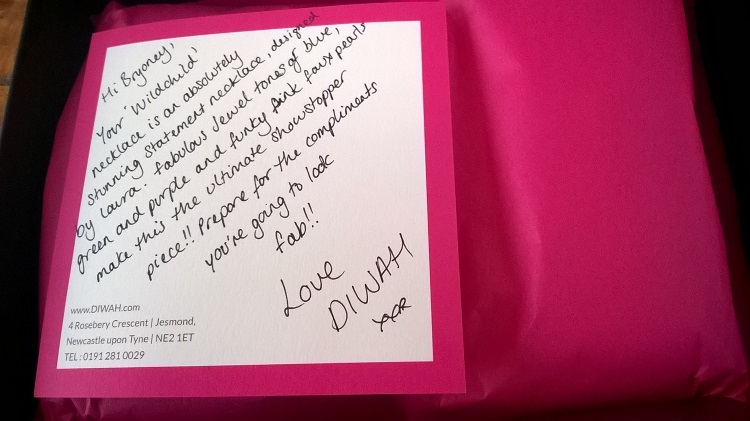 Thank you, DIWAH, for your beautiful designs, restoring my faith in customer service – whilst offering something a little bit special! I love how personal they get with their customers. I have never used them or any service like them as I do enjoy making my own jewelry, not just picking out the bits – But I love the process behind this! It is such a clever way to allow people to be part of the creation and have their own style in mind without having to just buy something off the rack (or behind the glass). I know my friend will enjoy this, I will share it with her.